Princessly Polished: CherryCulture Haul - Lots of Nyx polish to see! Milani In a Flash, L.A. 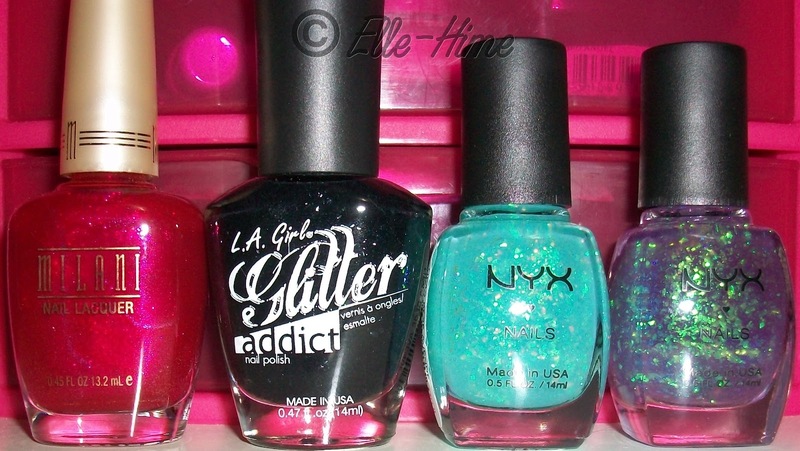 Girl Glitter Addict - Uninhibited, Nyx Blue Avenue & Purple Avenue. Nyx Advanced Salon Formula in Winter, Beige Glitter, Hieroglyphics and Creme Glitter. 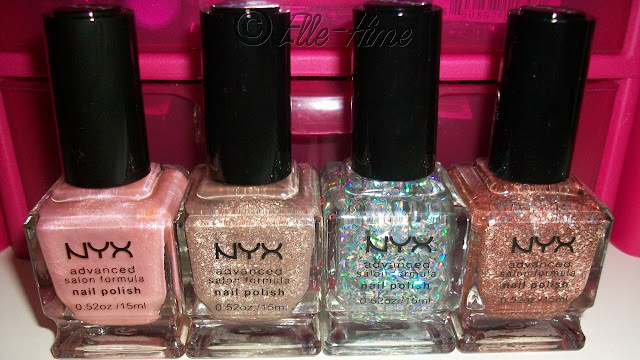 The Beige & Creme Glitter polishes weren't what I was looking for, but yes, they are metallic flakies! I swatched them and put them up for sale on my blog sale page. I'm working on a post of Nyx swatches so keep an eye out for that if you're curious about how they look. Now onto the Nyx Girls nail polish. I was so impressed with the glitters I picked up that I had to try some cremes, too. I've already used several of these and have been happy with the formula and wear on them. I tried to get manicure pics but the colors came out really off so it's no use posting them. I will say that Pistachio is nearly a dupe of China Glaze For Audrey. I mean it's so, so close that I would have thought that is what I was wearing. Pistachio has a hint more blue, less green, is a hint less dusty, and just slightly less opaque. So Pistachio will go to the blog sale, too. Ah! At my rite aid, they had every glitter addict except uninhibited! I was so upset..
you can save your commission fees.
" bizim yapmamz gereken ey insanla faydal bir site yapmak. them to cushioned incase the a bad credit score client will not repay.